Before you dig, drive a post, or plant a tree, call. This is a free service for excavators and homeowners. Make safety a high priority By Calling Before You Dig. 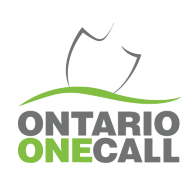 Please call or submit your online Ontario One Call e-Ticket request at least one week prior to digging. During the busy spring season additional notice may be required.